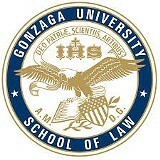 Gonzaga University School of Law is no exception to a dip in enrollment nationwide. From 2011 to 2014, GU's School of Law has seen its application pool deplete by 36 percent. Enrollment has dropped by 28 percent in that same time. As a result, the administration has offered buy-outs to all of its tenured professors. So far, four of the 17 faculty members have taken the offer. Law school dean Jane Korn does not anticipate the need to cut any more positions. "Nationally, since 2011, applications to law schools have dropped around 40 percent," Korn says. "Every dean had to make a decision to lower standards or take a budget hit, and we decided to take the budget hit." Korn declined to give the law school's budget, but says the school is staffed for a student body of 525 students (175 per class). In 2010, enrollment for first-year students was 183, and that number dropped to 125 in 2014 (still an increase from the 108 first-years in 2013). Nationwide, enrollment among schools approved by the American Bar Association has decreased by nearly 7 percent from 2013 to 2014, and by 17.5 percent since 2010, when numbers reached a historic high, according the American Bar Association. Enrollment for 2014 is the lowest it's been since 1987, but the number of ABA-approved schools was much lower at the time. "We're doing this because when you look at the situation ahead, you want to make sure Gonzaga has a bright and successful future," Korn says. "We did this to avoid problems in the future."